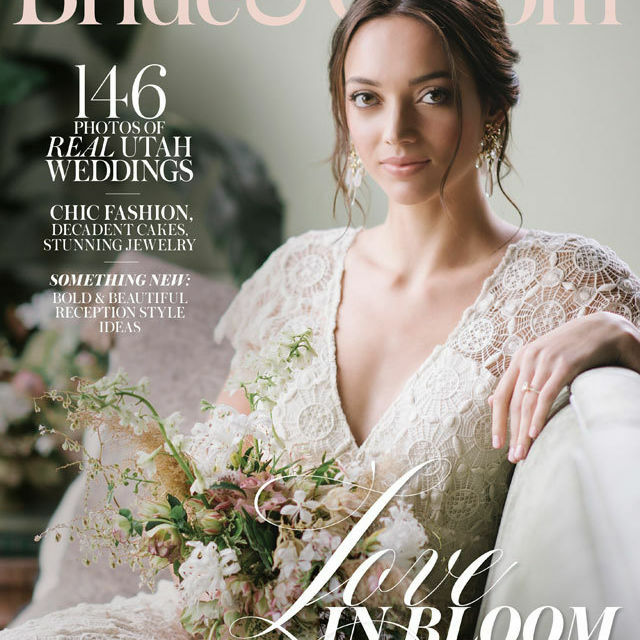 Our spring cover, photographed by Heather Nan at HSL Restaurant in SLC, offers a peek at the tropical-inspired flowers editorial featured inside the mag. 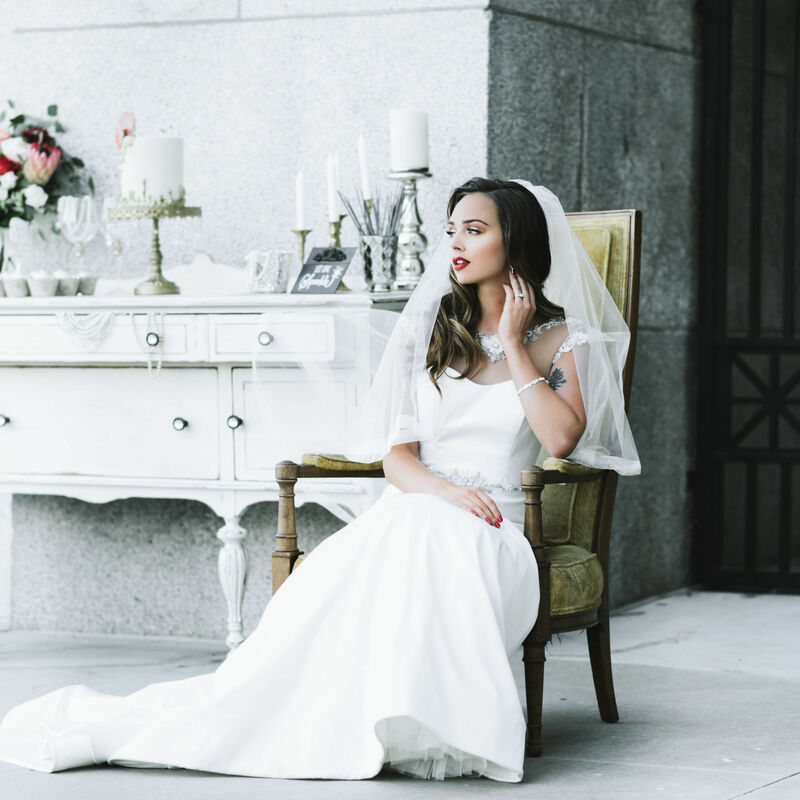 Shop chic, minimal wedding gowns from the Nouvelle Amsale collection when it travels from New York City to Salt Lake City for a two-week trunk show. 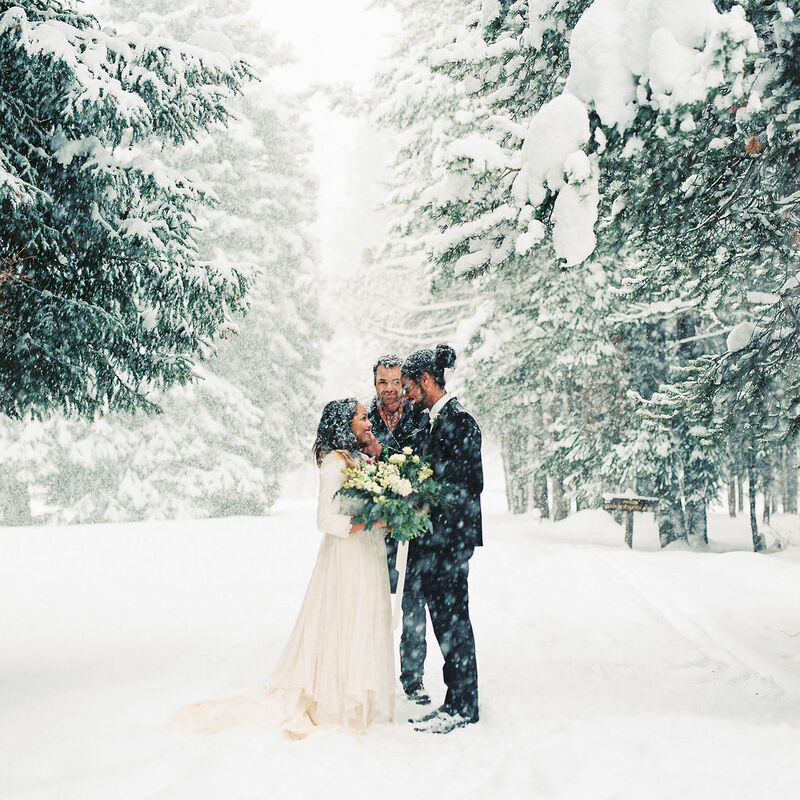 We go into the woods for an intimate winter-wonderland inspiration shoot by Travis J Photography and featuring gowns by Jann Marie Bridal. 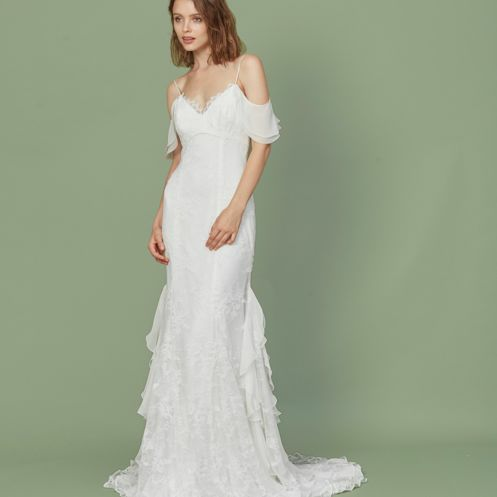 We chat with the designer about her modern bridal collection, her favorite bohemian and timeless styles, and her love for Ryan Adams. 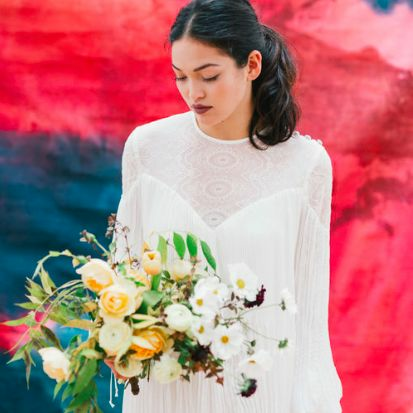 Try on wedding gowns, meet local vendors, and immerse yourself in style during these pop-up events in SLC on February 24 and Provo on February 25. 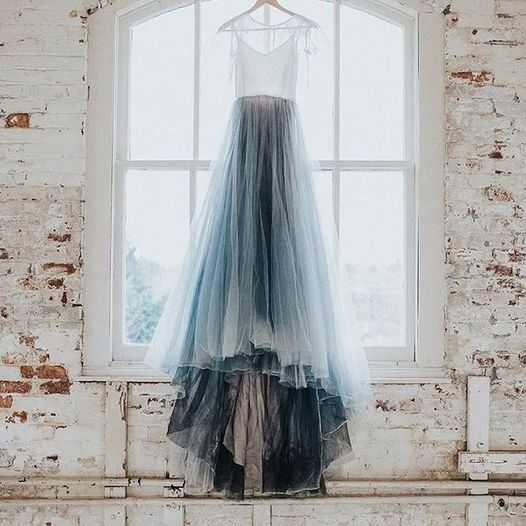 Shop the newest collection of romantic wedding gowns by Christos Bridal during a trunk show at Bitsy Bridal in Salt Lake City, February 10–12. 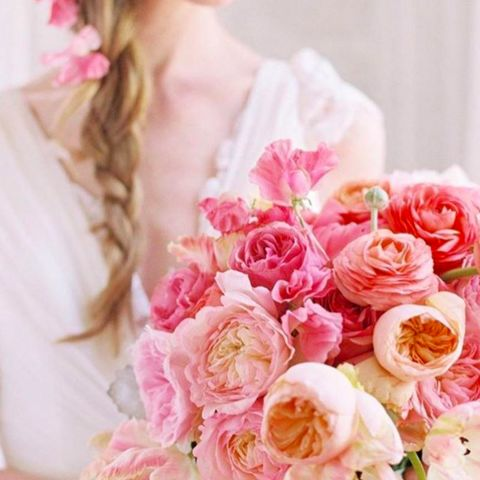 Romantic gowns, stylish suits, and stunning jewelry—fashion inspiration for greenhouse weddings and garden parties for brides, grooms, and bridesmaids. 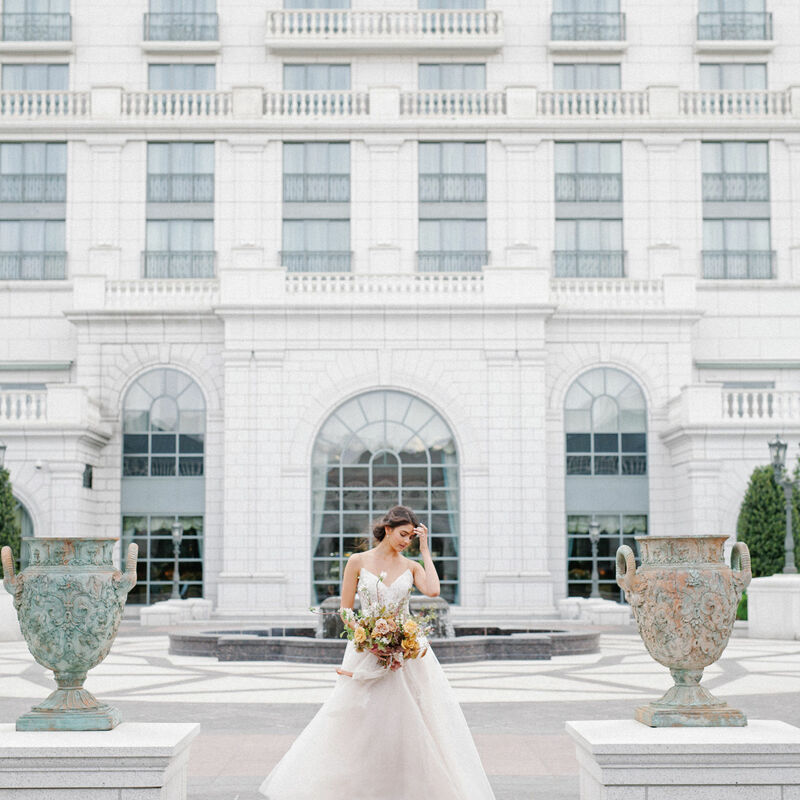 Join designer Chantel Lauren and the ladies of new venue/studio Ember for a pop-up shop and trunk show in downtown Salt Lake City on Saturday, December 10. 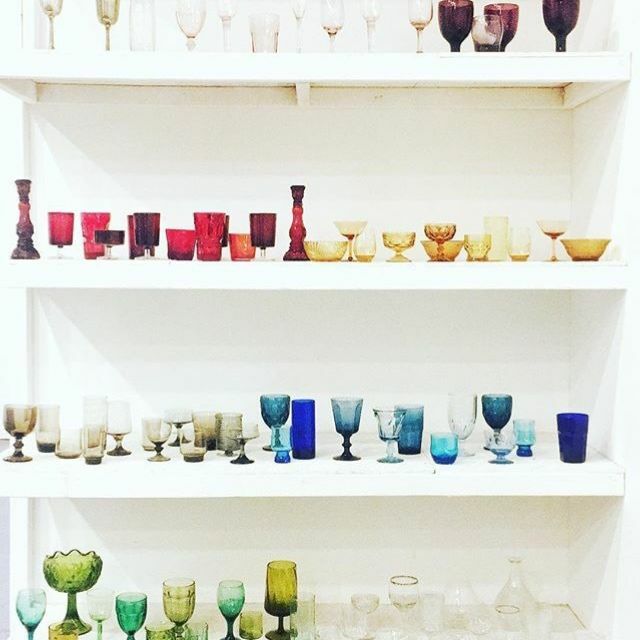 Shop Bitsy Bridal in Salt Lake City the day after Thanksgiving. 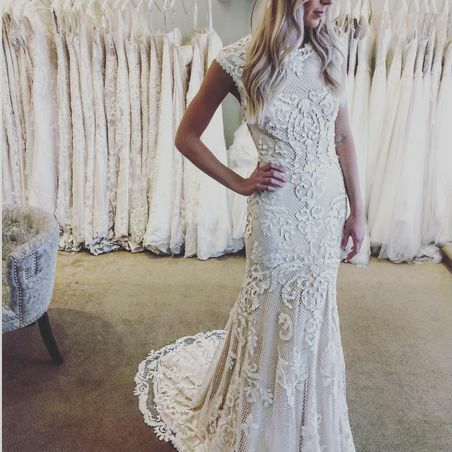 Sample gowns are 40-75% off with prices starting at $299, and all regular gowns are 15% off. 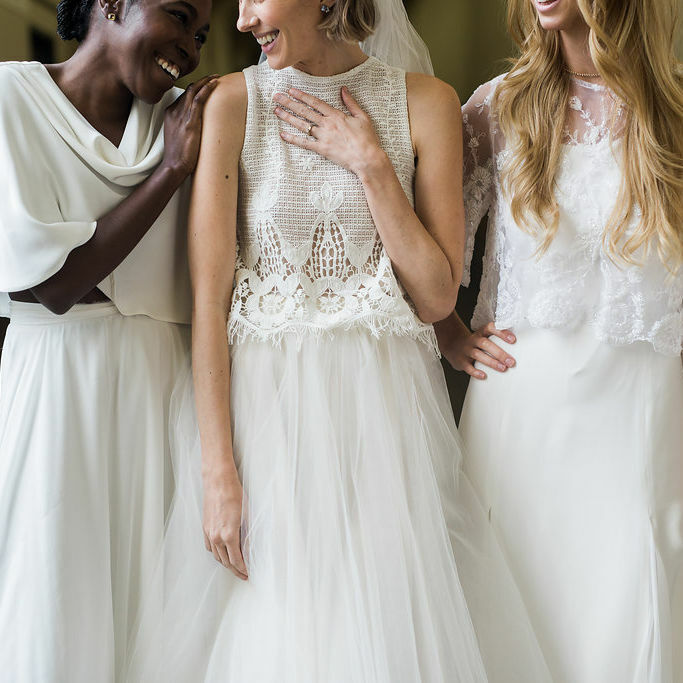 Shop dozens of wedding gowns during the biggest sale of the year at The Brides' Shop and The Perfect Dress this Thanksgiving weekend. 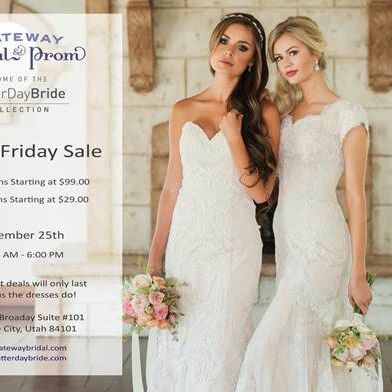 Shop more than 300 wedding gowns priced as low as $99 during this annual post-Thanksgiving event at Gateway Bridal's new downtown Salt Lake City shop. 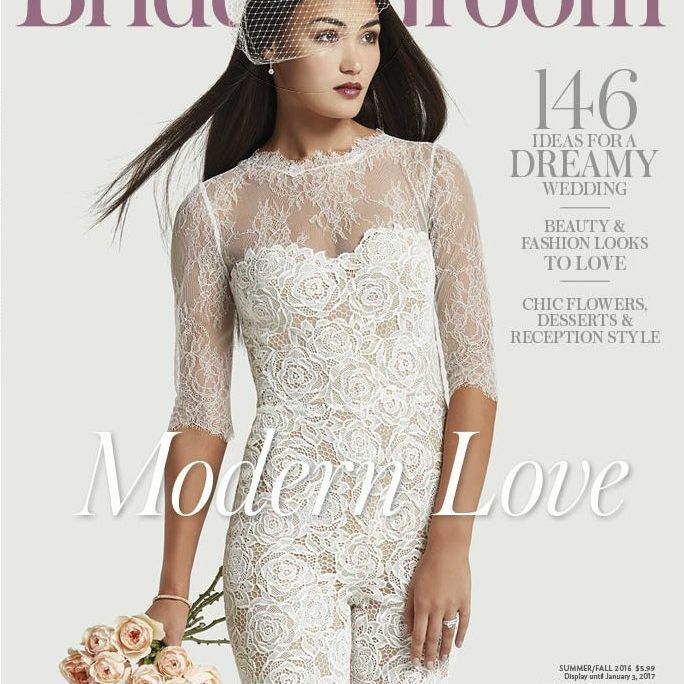 Photographed by Kevin Focht, the new fall cover of our current issue features a perfectly fitted, nontraditional lace jumpsuit by Monique Lhuillier. 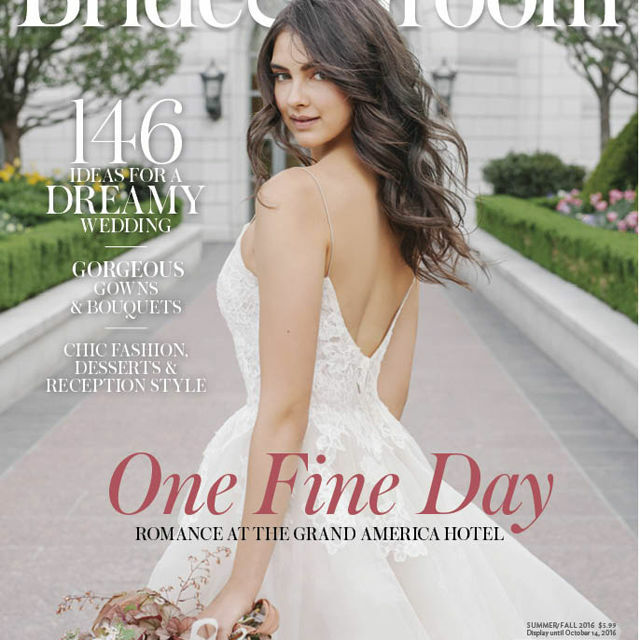 Celebrate the grand opening of this new Salt Lake City boutique and check out wedding gowns for fall and spring by top bridal designers. 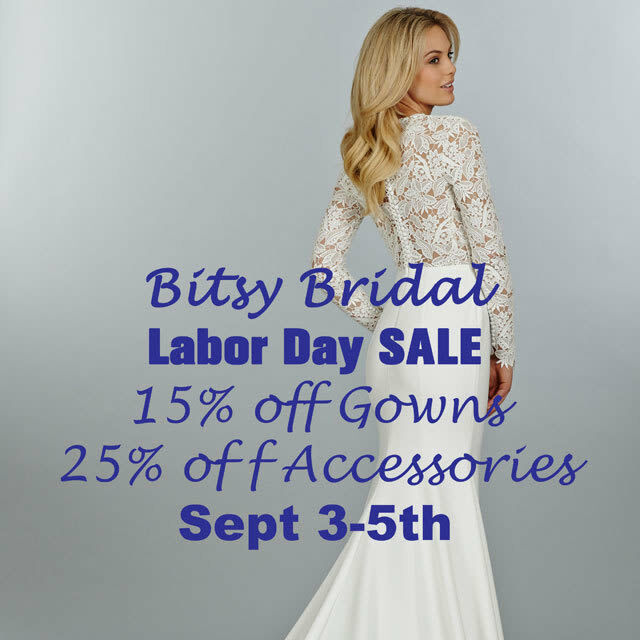 Save on wedding dresses by designers like Aire Barcelona, Tara Keely, Sophia Tolli, and Alyne by Rita Vinieris, and bridal accessories at Bitsy Bridal.